BENGALURU: Ozone FC and TRAU FC have vowed to contest their last final round match on Wednesday (May 30, 2018) at the FSV Arena in Bengaluru with pride and passion despite their present predicament at the ongoing Hero 2nd Division League. 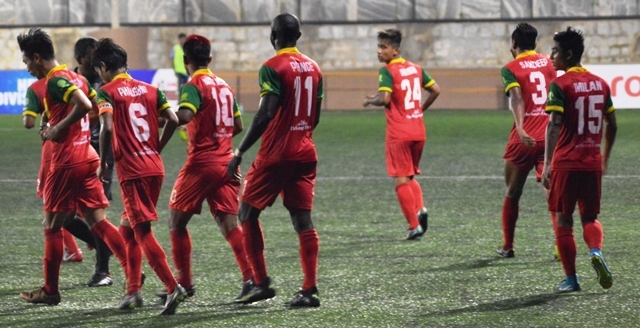 Ozone FC’s hopes of playing Hero I-League next season were dashed by a loss to Real Kashmir and draw against Hindustan FC in the previous round of matches. On the other hand, TRAU’s run has looked a lot like Ozone FC’s, despite tipped as favourites to go the distance, an opening day defeat against Hindustan FC followed by a draw against Real Kashmir knocked them out of the competition and what they need to do now is to play for pride, and redeem themselves after performing poorly in the campaign. “It has been a really disappointing tournament and I think that’s the only way we can reflect on it because we came here to win. We gave our best performance against Hindustan FC and Real Kashmir but somehow results did not go our way. This is our last match and we have the chance to redeem ourselves.” TRAU coach Nandakumar Singh said. Speaking in the same vein, Ozone FC coach David Booth said he is not oblivious about the task ahead, insisting that his wards would play like wounded lions against TRAU to avoid the wooden spoon. “We have nothing to look forward to than a very good result in our last match tomorrow,” Booth said. “We shall keep on playing with the same manner and objective that we started this competition despite lack of success in our last two previous matches,” the Englishman added. The match will kick-off at 1:30 pm and it will be streamed on Hero I-League’s official Facebook page.